After one album in 1969 and one subsequent single with minimal success, 49th Parallel packed it in a year later, and from the ashes rose guitarist Danny Lowe's new project, Painter. Based out of Edmonton and with a reformed lineup that consisted of Doran Beattie on vocals, Royden Morice on bass and drummer Bob "Herb" Ego (formerly of Witness Inc), they played the local bar scene as Shades of Blonde while writing their own material, blending light rock with a harder edge (if that makes sense), crossed with ballads and was held together with tight hooks and singable lyrics. 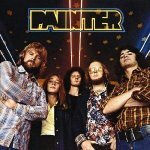 After changing their name to Painter, they caught the attention of London Records executives, who shipped them off to San Francisco's Wally Heider Studio in the summer of 1971. The single "Country Man" was released later that year to little fanfare. After switching to Molten Records (owned by Randy Bachman), they released another single later that year, "Daybreak," but again couldn't help but feel disappointed with the response. After moving to Seattle, they augmented their sound with Barry Allen (also ex of Wes Dakus & The Rebels) as a second guitarist, and agreed to be managed by Bob Zimmerman, who got them a deal with Elektra Records. They travelled back to San Francisco, as well as Seattle's Kaye-Smith Studio, and put their abundance of material they'd written on tape. The result was their self-titled debut album in September of '73. With Jim Gaines serving as co-producer with the band and engineer, "West Coast Woman" was released as the first single and the band had its first Top 20 song. Before long they were on the road, headlining shows at LA's famed Whiskey A Go Go, backing up KISS, Jethro Tull, Canned Heat, Rod Stewart, and Steely Dan, among others. They were also featured on the nationally syndicated "King Biscuit Flower Hour" radio program while in New York. It was while in the Big Apple that they co-wrote a couple of tracks with Frank Zappa while backstage one night, "That's When I Knew It Was Love" was played on stage later that night for the first and only time. But when the follow-up singles "Going Home To Rock" and "Song For Sunshine" in '74 both failed to make an impression, Elektra lost interest and dropped the group. Allen left the group soon after, shortly before the band pulled the plug. Lowe, Beattie, Ego and Morice would team up again to form Hammersmith shortly after. But before the first of two albums for Mercury Records were on the shelves, Ego was gone, who went on to join Streetheart. He also become a studio musician and session player for various artists, including 451 Degrees, Mavis McCauley, and Paul Hann, among others. Allen hung up the guitar and put on a managerial hat, and took a number of groups under his wing, including Hammersmith. After that group had run its course in '78, Lowe then formed 451 Degrees and then Prototype, before becoming a successful producer in his own right. He also invented a stereo enhancement process involving multiple microphones called Q Sound, which has been used by such artists as Madonna, Sting, and Pink Floyd, as well as in cell phone technology. Beattie would go on to do session work for other artists, and become a successful country artist. Painter's only album was remastered and re-released on Wounded Bird Records in 2009, but didn't contain any bonus material.